The golden days of fall are prime time for outdoor adventure in North Carolina. Summer’s oppressive heat and humidity begin to mellow as afternoon thunderheads give way to sunny skies, leaves begin to turn, and migrating waterfowl take up residence along the region’s lakes and rivers. 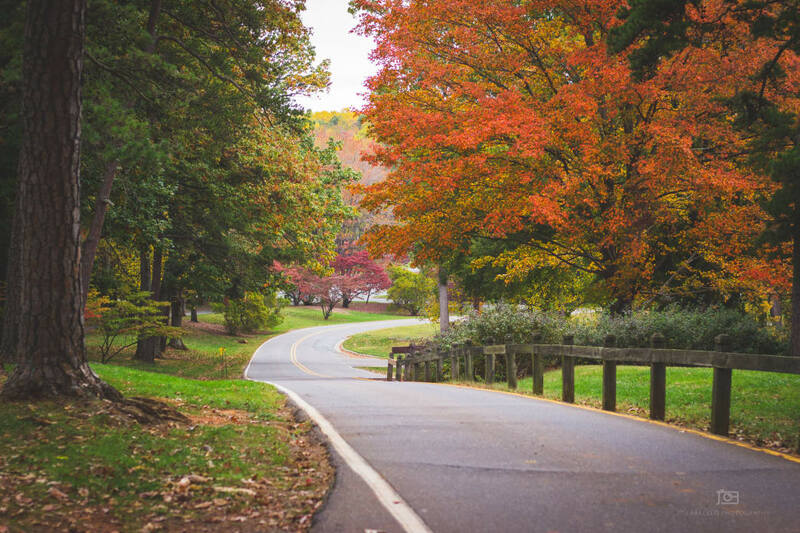 Winston-Salem’s rolling hills, sandwiched between lofty Appalachian peaks to the west and semi-tropical coastline to the east, is temperate year-round, giving you a long season of hiking, biking, paddling, and playing outdoors. Pick your favorite pursuits from our bucket list to make the most of this stunning season in the Triad. Pilot Knob pokes dramatically upward out of the surrounding Piedmont landscape, taunting hikers and cyclists to tackle the climb to the summit. Meet this challenge with a 50-mile out-and-back ascent that starts at Shallowford Square in Lewisville. Rural roads lead north over a continuous succession of moderate climbs and descents, all the way to Pilot Mountain State Park. A 2.5-mile crawl to the summit, at an unrelenting 10- to 16-percent grade, rewards you with 360-degree views across the Piedmont. 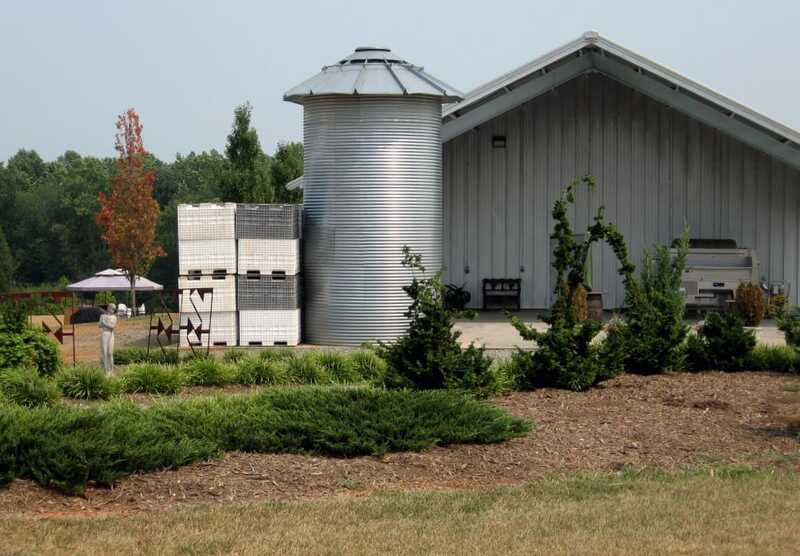 Choose from four different wine trails in the Yadkin River Valley for your fall foliage/wine tasting tour of the state’s first American Viticulture Area. Though the Tarheel State was once only known for its sweet scuppernongs and muscadines, vintners are now cultivating European varietals, producing award-winning cabs, merlots, syrahs, chardonnays, and viogniers. On your way, stop by the town of Elkin for the Yadkin Valley Pumpkin Festival. Connect with like-minded athletes who love to run and raise money for worthy charities by committing to Winston’s big six annual road races. From winter’s Mistletoe Half Marathon, 5K & Fun Run to summer’s Beat the Heat 5K, all six races give back to the local community through organizations like the YMCA, Second Harvest Food Bank, and the Hospice Foundation. The seven-mile trail along the shores of Salem Lake feels miles away from city life, even though you’re actually only minutes from downtown. 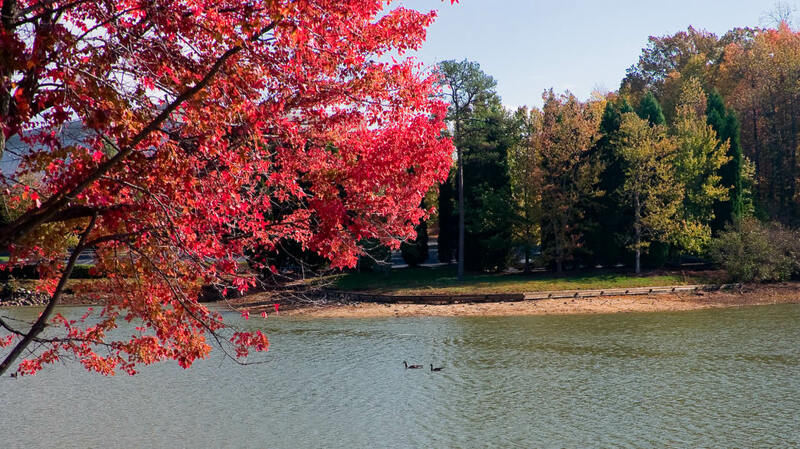 Water stops, mile markers, gently sloping terrain, and continuous views across the 365-acre lake make this a perfect place to run at any pace. The quartzite slabs and roofs at Pilot Mountain can be unbearably hot in summer, making late fall the ideal time to go crag-hopping. 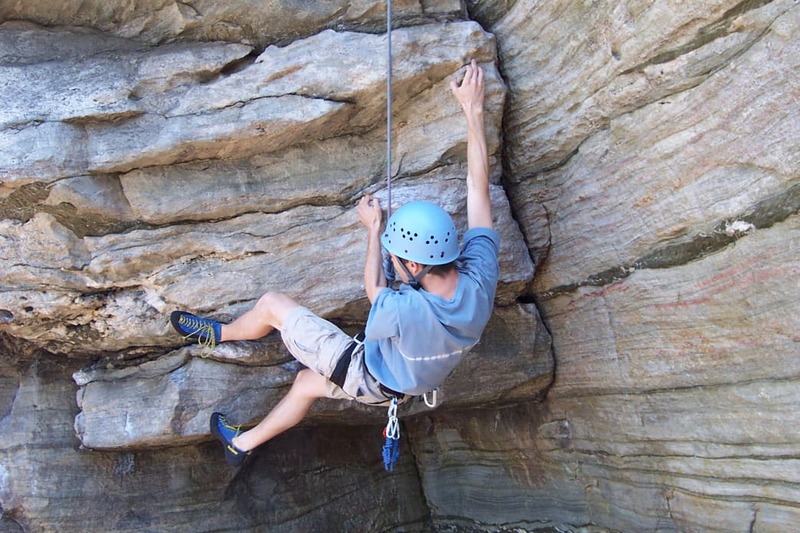 Home to some of the most beginner-friendly top-rope routes in the state, it’s a short hike on the Ledge Springs Trail to Three Bears Gully and access to more than 80 routes. Eighteen miles of trails crisscross the rocky bluffs of the Sauratown Mountain range in Hanging Rock State Park, and a surprising number of creeks cut into the landscape to tumble over the park’s quartzite ledges. Easy hikes, each one under a mile, lead to waterfalls framed in autumn color. For a bigger challenge, connect the trail loops to travel more than 10 miles and visit all five cascades. The Yadkin River runs wide and shallow through farmlands and forests northwest of Winston-Salem. Perfect for families and novice kayakers, self-guided half and full-day trips with Yadkin River Adventures launch near the town of Rockford with all the equipment you need to float the Class I-II riffles back to the take-out at the outfitter shop. For more experienced paddlers, the outfitter has 15- to 19-mile overnight trips with a stop to camp in Pilot Mountain State Park. Just in time for campfire season, reserve one of Tanglewood Park’s rustic cabins for a weekend of biking, hiking, fishing and boating, and even some horseback riding. If you’d rather camp, rent a camper to stay at the RV campground. For a more luxurious weekend, there’s fireside cocktails and morning coffee on the veranda at the park’s Manor House Bed & Breakfast, a Victorian country estate right in the middle of the park. 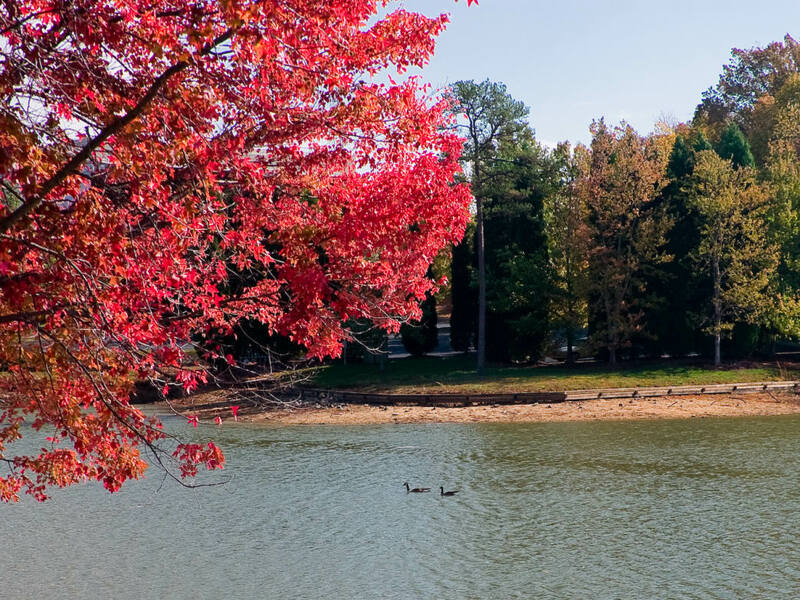 Belews Lake is one of the Triad’s hidden gems, with less boat traffic and warmer year-round water temperatures than other Triad lakes. Take an Intro to SUP lesson with Triad Eco Adventures. If you have your own equipment (Triad Eco Adventure rents gear too) put in at the Piney Bluff Access for a seven-mile paddle to the lake’s north shore or a four-mile trip to the main channel. Nothing increases your mileage more than running with a few buddies, but sometimes finding those training partners can be tough. The remedy? Join the weekly runs at Foothills Brewing. Foot Soldiers Run Club meets weekly for supportive, no-drop runs that start and end at the tasting room. Most weeks, the evening wraps up with a beer and training workshop with an OrthoCarolina physical therapist. If you’re an avid mountain biker, or always wanted to give it a try, spend the fall exploring over 40 miles of trails looping through the forests and meadows surrounding the watershed lakes northeast of Winston-Salem. Start out on 3.5 miles of novice singletrack along Lake Townsend on Blue Heron, or on Bald Eagle’s five miles of boardwalk and natural surface trail. Bur-Mil Park has more than eight miles of intermediate to advanced singletrack on Lake Brandt, connecting on the Atlantic & Yadkin Greenway to Country Park’s more advanced Copperhead Trail.